﻿ Motorcycle Safety: How safe is riding a bike? If you’re starting out, this has got to be a question looming large in your mind – and if not yours, then definitely the mind of your nearest and dearest. The short answer is: riding a bike does expose you to more danger than most other ways of passing the time. And you need a certain amount of luck. You’re relatively unprotected, and sat on a vehicle which is inherently designed to fall over. Government statistics for 2007 said that that for every billion kilometres travelled, 21 car drivers are killed in accidents – compared with 1141 motorcyclists. If you’re the kind of person who runs away from negatives, you’ve probably already stopped reading. A motorcyclist, by definition, moves towards positives. Because it is brilliant fun. Many people ride for decades – a lifetime, even – without coming to serious harm. Not because they’ve cheated fate to any great extent, but because they’ve found a way to make riding a bike acceptably safe. How is this done? The brilliant trainer Jon Taylor at rapidtraining.co.uk puts it perfectly: “You start out with a full bag of luck, and an empty bag of experience. The trick is to fill your bag with experience before your luck runs out.” Experienced riders don’t feel particularly vulnerable. They feel aware. Bruce Dunn, MCN’s super-quick performance tester, has ridden virtually every road test bike over the last decade flat out. He has been to 170mph+ hundreds of times at the test track. He describes his awareness as being like a bubble that extends around him, constantly scanning for information about what’s going to happen. Will that car pull out? What’s that slight movement reflected in a shop window? How likely is it that there’ll be mud on this country lane? There’s also an internal bubble of awareness. What am I capable of? Do I really know my limits? How in control am I feeling right now? Bruce says this process happens unconsciously, and only works if you weigh up yourself and your surroundings realistically. For a beginner, of course, that’s a real challenge – that empty bag of experience again. Which is why the safest thing you can do if you’ve decided to ride a bike is choose a good trainer. Because training is simply a way of accelerating your experience to warp speed. We have never had more good quality trainers in the UK, but there are also a lot of average or below average ones too. The official channels won’t help you either: the motorcycle test and the Compulsory Basic Training syllabus fall woefully short of making you into a decent motorcyclist. Most fatal crashes outside urban areas happen to riders who get into trouble through their lack of roadcraft, and then make a cornering, steering or braking mistake. Guess what – the bike test and CBT make no serious examination of these skills. Direct Access training, which is the way most people get a full licence, has no syllabus at all. It really does depend on how diligent your trainer is. 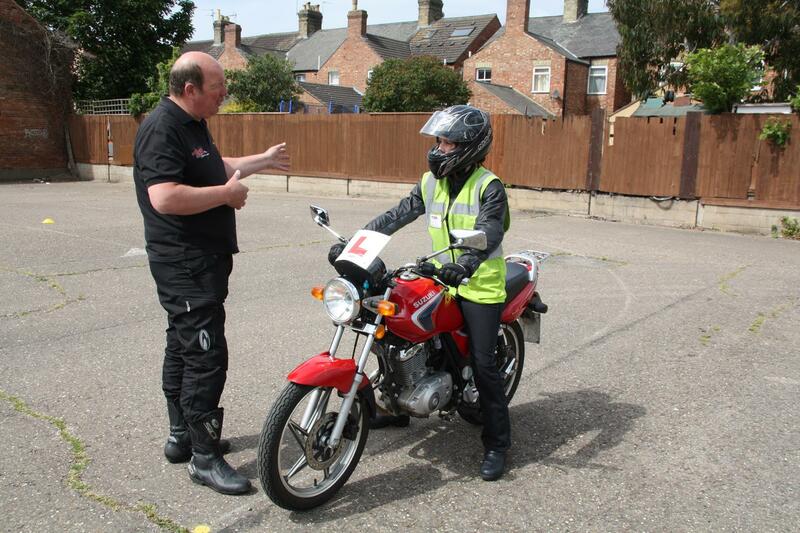 This means that you, the beginner rider, have somehow got to sniff out a bike school who will teach you to ride, rather than just teach you to pass the test. How to do that? Ring as many bike schools as it takes before you get the feeling you are talking to someone who truly believes in in training you for life, and sod the test. Do that and you might not be as safe as Bruce just yet, but you’ll have made the best possible start.